Montreux-Vevey, located on the shores of Lake Geneva and at the foot of the Alps thanks to its mild and pleasant climate and its world-renowned festivals like the Jazz Festival in July has always been a popular vacation spot for many tourists worldwide. In January this year, a group of journalists from the Gulf region was invited by the Montreux-Vevey Tourisme for a familiarisation trip to Montreux. The trip provided and opportunity to experience the beauty and charm of this majestic vacation dubbed as the "Pearl of the Riviera." Our correspondent met with the President of Montreux-Vevey Tourism, Harry John, who spoke about Montreux's attractions as well as the their region's tourist relations with the GCC countries and his views about the future of the tourism industry in general. Q1: What is your opinion in terms of business relations with the Arab countries in general? A1: I have the visited the Middle East for several times now over the past ten years, once or twice a year and I have always enjoyed my visits here because of the warm hospitality that has always been extended to us. Switzerland has for the past 30 years or so have had always visitors from the GCC countries and other Middle East countries with most of them having properties and businesses in our region. Our country also offers a safe and secure destination with a lot to offer not only in terms of business opportunities but with numerous activities suited for the entire family. Q2: How do you think you can increase your region's business relations with the Gulf countries? What are your future plans? A2: For my part, I have kept in constant contact with my clients not only on a business level but on a personal level as well. I also visit the GCC countries as well as the Middle East once or twice a year to keep in touch with our contacts there which I believe emphasises our continued interest with the Arab countries. This year we are not only planning to hold meetings and workshops with travel agencies, tour operators and trade centres but we also are having meetings with officials in the different chambers of commerce and government institutions and meetings with the local industry officials. Q3: For your visit in March are you going to concentrate on the workshop with the tour operators or are you planning to promote and feature the different packages on offer in your region to the prospective tourists in the Gulf region? A3: Both topics will be met. We do workshops, press conferences with the local media. Meetings with officials in the chambers of commerce and industry officials in Abu Dhabi and Saudi as well, to give us the chance to update and acquaint ourselves with the latest developments in the region. Q4: Are you participating in the upcoming Arab Travel Market in May 2005 in Dubai? A4: Yes and this will be my 8th time. This event is very a important platform for those involved in this business as it is where the tourism markets in the GCC comes together. My previous participation has provided me the opportunity to meet different and new clienteles for example from Iran, Syria and Lebanon. Q5: Plans are on the way to organise a specialised tourism exhibition that will focus on the tourism in the capital city of Abu Dhabi to highlight the country's cultural heritage and history. With the newly established Abu Dhabi Tourism Authority now in place, do you think that Abu Dhabi has a potential in succeeding in this market? A5: I do believe that Abu Dhabi has a great potential in terms developing its tourism industry. I have always believed that Abu Dhabi has its special charm and will succeed in developing its tourism industry depending however on the type of tourism it wants to attract, say maybe, corporate or commercial like Dubai or leisure with emphasis on cultural heritage as you've mention, or even both. Q6: What do you think about Switzerland as being one of the leading countries to bring tourism into the UAE? A6: Dubai has been, for the past ten years, put it self on the map as one of the leading tourist destination in the region. And this can be attributed to the booming industry in the emirate, with new infrastructures, hotels and tourist attractions being built every year. The shopping festivals, attractive packages for the whole family, other events and conferences has also boosted the emirate's image coupled by its government's aggressive marketing has made Dubai one of the top destinations in the world. Q7: With the increase in the rate of exchange in currencies, like the Swiss Francs almost being equal to the US Dollar, how do you think you can compensate on this in order to attract more tourist to Switzerland? A7: It is true that the increase in currency exchange rates have affected the tourism industry. However, we are now putting emphasis on offering value for money. We are now offering incentives and attractive packages to entice more tourists by including in their hotel packages free transportations to the mountains, free train rides to the main tourist attractions in our region, free entrances to the museums and parks as well. We are putting more emphasis on giving them quality for their money that is mainly geared towards family with special offers for children and other leisure activities. 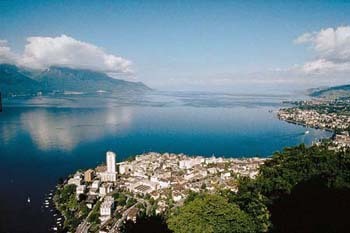 Montreux-Vevey Riviera-Lavaux Region now offers its guests the new Tourist Info Pass. The booklet includes coupons redeemable for over CHF 250 in value and offers a free welcome drink and 24h bus ticket and includes reduced or free entrance to major museums and other exciting attractions on the Swiss Riviera. We also have just introduced and special festival in Montreux called the Oriental Festival for the Arab community in the region which will be held at the end of July. We have invited more than 400 people to attend the festival wherein they will get to meet the Mayor, Chief of Police and other important officials. Geneva on the other hand has the highest number of visitors from the GCC states about 50 to 55 percent, followed by Montreux. Most of these clienteles, about 50 to 60 percent of them are from Saudi Arabia, followed by tourists from the Kuwait, then UAE, Qatar, Bahrain and Oman. Q8: Do you think that there are enough publications in the Gulf region promoting Switzerland? Do you think that we need to have a more specialised publications to feature your country to tourists? Aside from our relations with the other markets, we do have course bilingual relations between the Middle East and Switzerland. I do believe that it is really important that both markets promote each other to the general media and to tour operators as well. The UAE has played a very important role in promoting tourism in Switzerland through the media. Montreux, has a dedicated website http://www.montreux-vevey.com which features its diverse number of excursions on offer to tourists, be it by bus, train or boat, and of sports (water sports, tennis, golf, horse-riding, hiking) as well as of entertainment allows each and everyone, no matter what age, to spend their time ideally. The website also features a list of all its hotels and accommodation including apartments and B&B as well as other useful and interesting information about our region. Q9: Who promotes you in the Gulf? A9: I know that there are several hotels in Switzerland who has mandates with the PR companies in the GCC countries. We ourselves promote our region by organising promotional trips by inviting the media to visit our region in order to acquaint themselves with what our country has to offer to the tourist in general. The hotels here in our region has very good relations with their clienteles in the GCC region. Q10: How is tourism after September 11? Have you recovered? A10: We did have a lost with the American market and some Asian tourists as well. However, the number of tourists coming from the Middle East has been quite stable after 9/11. For example in 2002, just over a year after the tragic event, King Fahd came to Geneva for a visit and it was one of the best years for Switzerland due to the increase in the number of tourists from Saudi Arabia. 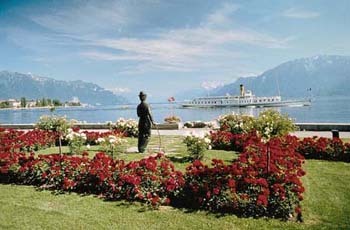 Here in Montreux, we had an increase in tourists in 2002, as compared to the actual number of tourists in 2001. And in 2003, we had an increase of around 7 to 8 percent from the total number of tourists from the GCC countries as compared to 2002. Q11: Do you have any coordination with the foreign ministries to facilitate the visas of the locals of the GCC countries? A11: As you know, Switzerland has a lot locals from the GCC countries who owns properties and businesses for years now and that has help establish a kind of understanding between the governments of each countries in terms of facilitating visa applications. It is also worth to mention that not only do we offer tourists a lot in terms of tourist attractions and leisure activities we also have summer camps for children aged 5 to 15 and a lot of families with children send their children to these camps every year. Montreux-Vevey offers an ideal location for any kind of activities, being recreational or professional and is the perfect destination for international congresses, conferences, or Motivation-Trips. Q12: Where are the best hotels located in Switzerland.? Lausanne has the best in the world. Hotels in Lausanne has the highest standard in the world mainly because Lausanne is also the home of world renowned Ecole hoteliere de Lausanne (EHL). 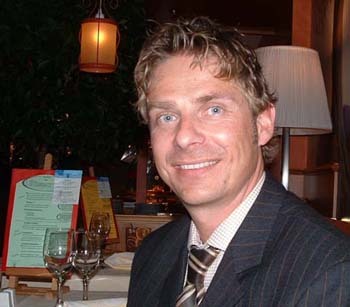 EHL is the oldest hotel school in the world and is considered to be the number one in this field. Founded in 1893, EHL is the only institution of its kind in the in Europe and has educated more than 30,000 hospitality industry executives who now makes up a prestigious network for every member of the EHL community. This prestigious institution has over 1,400 students from 80 different countries.